PFD produced a special book for the Congress of Mayors of Latin America held in Santiago, Chile in March 2012. 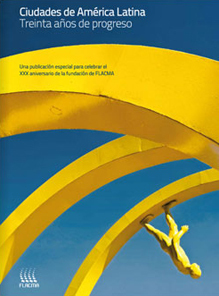 The publication entitled Latin American Cities: Thirty Years of Progress, features introductions from the president and secretary-general of FLACMA together with a history celebrating 30 years of the organisation. The book includes topical articles on best practices from cities across the region on transport, culture, renewable energy and the application of advanced technology. Country chapters cover the programmes of major cities for sustainable urban development and feature interviews with mayors from municipalities in Latin America.